Description: The Observation Tower for my Dome Fort (coming soon) could also be used for other purposes such as an office, pantry or even spare bedroom. The kids would love it. A spiraling staircase joins the first three floors, and a ladder provides access to the roof deck. Total height is 31’. 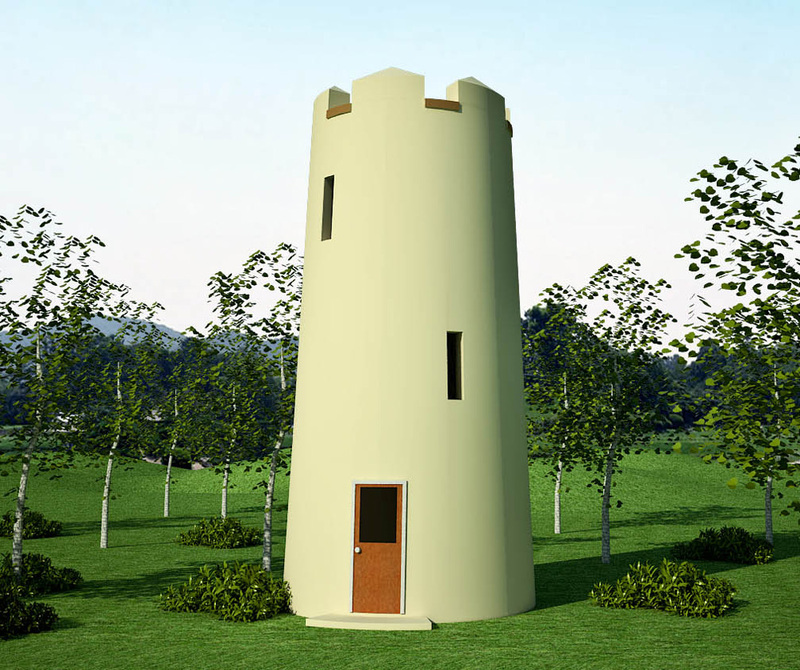 The same tower is used in my Native Spirit home design. 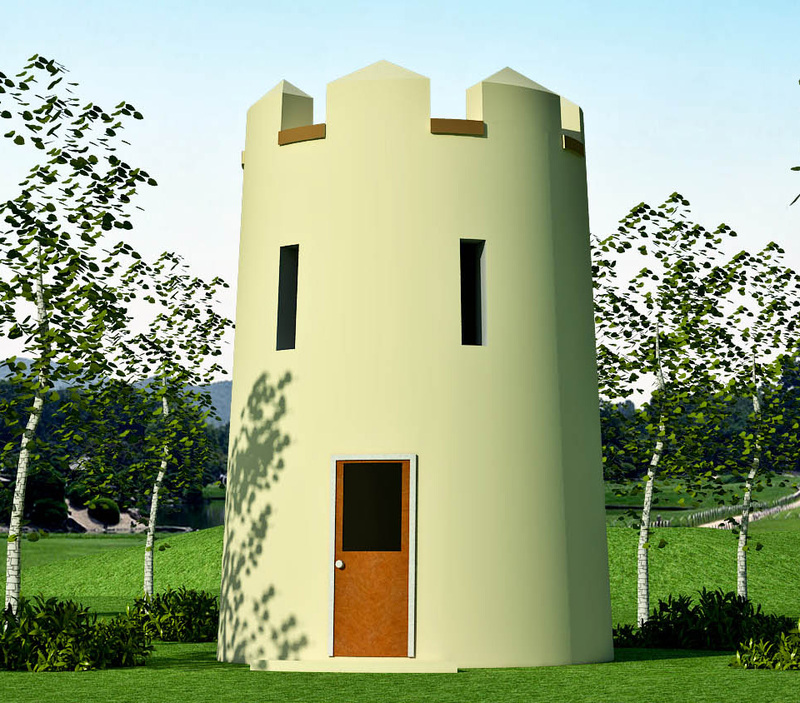 Description: This guard tower for my Dome Fort could also be used for other purposes such as an office, pantry or even spare bedroom. The kids would love it (and big kids, too). 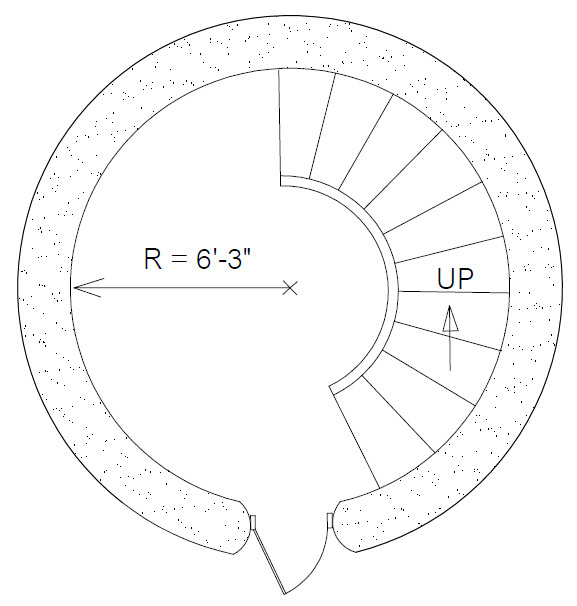 A spiraling staircase joins the first and second floors, and a ladder provides access to the roof deck. Total height is 22’. The Round Guard Tower is the same as the Observation Tower except it is one floor (9’) shorter.